I am a self confessed Dancing with the Stars Fan. Last night ended another year & I was so happy with the winner. Alfonso.... aka Carlton ... he will always be Carlton to everyone, won't he? Yep. Len, Bruno, Carrie Ann & our new judge, Juliann are sitting behind a desk waiting to flip over their paddles, but the funny thing is, I don't always agree with what they say. I think they give too high of scores sometimes, or sometimes they score too low, they don't judge everyone on the same scale & sometimes, they don't even agree. And the way they judge sometimes really affects the stars and the pros, gets in their heads... but when the dancers come back even stronger letting the criticism roll off their backs, they even seem to be stronger & better. What a good lesson to remember. People are always going to judge you but just keep doing what you do, believing in what you do & come back stronger & better. They stressed over & over that the people that make it to the end are the ones who have made the closest connections with their partners. It just shows that when you open yourself up & make solid relationships in life, it brings out the best in you. I love years like this year on DWTS. I loved all the finalist. I would have really been happy with any of them winning. As the final 3 were standing there for the results, I kept thinking, yeah, they all have different 'better' qualities but they are all so good & deserving of the mirror ball. Sometimes in life, you aren't the best. Sometimes there are people just as good as you. That's a good thing. You can make yourself become better when you work with & deal with people that are on a level with you. & its humbling to know that there are others that can do what you can do... sometimes better... it's canl also be a relief to know that. A reminder you don't HAVE to do everything. Someone else can take some of the stress & pressure off of you. People have special things about them. When their one thing comes out, it can cover a multitude of short comings in other areas. Tommy was not the best dancer - but his personality & attitude made all the difference. Your attitude makes all the difference. I love that the past 2 years, Dancing with the Stars has had Christian ladies (Candace & Sadie) who are very grounded in their faith & their beliefs. When they weren't comfortable with moves or dress costumes, they brought it up. They just shined their faith... & most importantly, they would always give glory & praise to God whenever they could. I loved that they were still human - still had bad days of messing up or being frustrated, but in the end, they still were true to everything they believed in. Every year there are injuries. Falls. Bruise. Broken bones. Strains & muscle pulls. But I love when the dancers still come out & do their thing. Len said it to Alfonso this year, Pain is temporary but glory lasts forever. Every day we have things that hurt us, that makes life hard. We gotta keep pressing on. Like I mentioned at the beginning, Alfonso will ALWAYS be Carlton to us. He even said in an interview he can never get away from it. But didn't it work for him this year when he did the Carlton dance? He embraced his past & made it work for him. Sometimes we want to forget the past but when we accept it & can use it, it can become a better part of us. 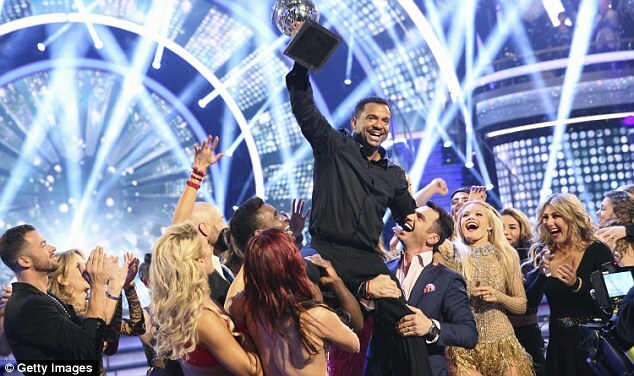 I love that Alfonso said he wanted to do this show for 10 years... & even more so, wanted that mirror ball for 10 years. When they handed it over to him, I just imagined it felt like a dream come true. He held onto that dream.... He worked at making it come true. It may not be tomorrow that it will happen for you, but hang onto that dream. Keep working for it. I think this was the absolute best season of DWTS. I haven't watched them all, some just didn't hold any interest for me, but this year's combination was a winner all the way around. I thought the same thing about the final three, but am happy with the way the final order played out. Great post, and so much truth! Happy Thanksgiving! I watch the show off and on but agree with all of your points. I love watching the drama unfold and cheering for my favorites! Just got done watching them on GMA - so happy Alfonso won! He really will always be Carlton :) Hope you guys have a wonderful Thanksgiving!! I love your analysis :) I can't believe I've never seen this show yet, I love dance shows and I love Carlton! I'm going to have to add it to my list next year. I confess...I've never watched this show. I'm so happy he won - he definitely was the best dancer and to know he wanted to be on the show for 10 years, well that just proves how much he wanted it!! I love this post! You'll have to do more.... life lessons from The Bachelor, or from The Walking Dead-- that would be awesome! glad alfonso won. i wanted janel 2nd only bc she is a way better dancer than sadie. but i love mark, so i'm glad for him. 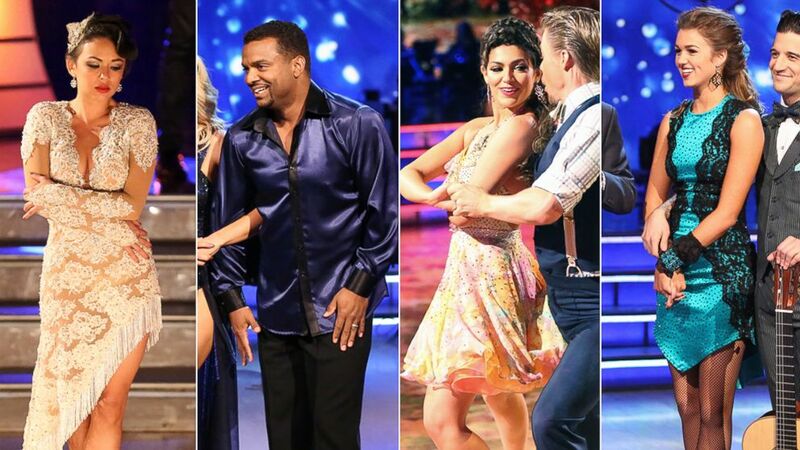 Okay, I adore Dancing With the Stars. What you did here was beautiful. This post is so encouraging and eye opening!